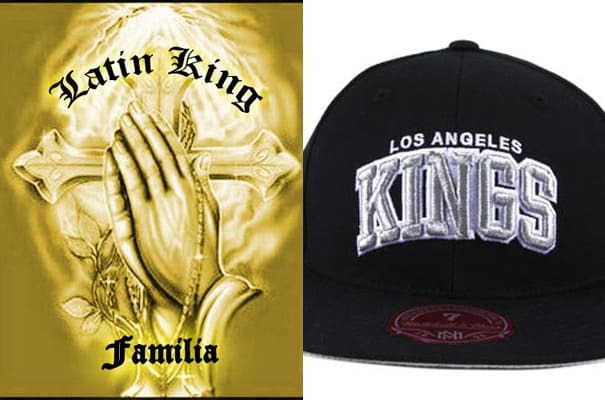 Why: The word "Kings" makes it easy to identify the largest Hispanic gang in the U.S. For other gangs within the People Nation alliance, the "Kings" stands for "Kill Inglewood Nasty Gangsters." Complex says: We don't promote gang violence (or gangs), but we kinda wish more of them would adopt hockey logos. It's the most gangsta sport out there, right?